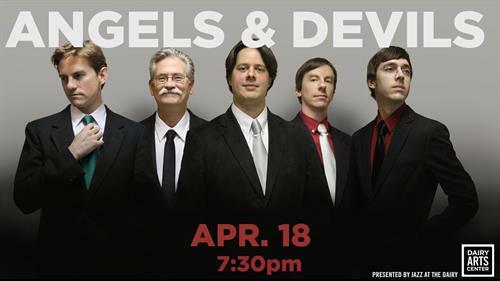 Revered as one of the best Nuevo Tango ensembles in the country, the Austin Piazzolla Quintet returns to the Dairy stage for their “Angels and Devils” album tour! APQ specializes in the evocative and shimmering music of the legendary Argentine tango composer and bandoneon player, Astor Piazzolla. Complementing the South American flavors in APQ’s music is the sultry and seductive tango dancing by the Argentine Tango specialists of Parasol Arts!